There is a moment in "Butterfly"
The recital by Taryn Fiebig (Soprano) and Ruth Strutt (Mezzo Soprano), partnered by Tahu Matheson on piano, delivered a rare bouquet of fin de siecleand early 20thcentre lieder – sprung from the exotic and protean musical ferment of Vienna. Though the program focus was on Alban Berg – in celebration of the new production of Wozzeckat the Sydney Opera House – the program also delivered gems by Schreker, Schoenberg and Zemlinsky. The Schreker songs, distributed between soprano and mezzo, were intriguing. Schreker is one of those lost German composers, banned and vilified by the Nazis and only recently returning to circulation. The songs on offer where generally written when Schreker was studying composition at the Vienna Conservatory, under the quietly eulogised Robert Fuchs – so were penned in the mid 1890s and early 1900s. When Schreker is known, it is for his operas, which are slowly being revived. In this recital, seven Schreker songs were essayed. A Tolstoy poem, translated into German as Unending Love, Unendliche Liebe, Opus 4, No. 1 was beautifully launched by Ruth Strutt, whose rich mezzo developed powerfully as the recital progressed, with a little bell-like ping in her sound at full volume and an expressive mezza voce that helped her fleck the text with subtle and varied meaning, digging into this songs quasi-religious ecstasy: “my love, as wide as a sea/Cannot fit into the shores of life”. The tripping piano accompaniment was well sprung by Matheson. Im Lenz Opus 3, No. 2 (1902) was full of yearning and warning, balanced on the line: “flowers and wounds open in spring”. The early Sommerfaden, Opus 2, no.1 (1901) was flooded with haunting suspensions as though the singer was drawing out the gossamer threads that so aptly inform the vocal and textual vison of the captive beauty of a summer’s twilight. Strutt also essayed some of the rarely performed lieder of Zemlinsky. Süße, süße, Sommernacht (1896) was particularly captivating – while the jazzy humour of Harlem Tanzerin opus 27, no. 8. (1937/38) drew forth sly humour and crisp playful diction about: “her perfect half-clothed body” and voice “like the sound of blended flutes/ blown by black players” as the youth and prostitutes watched her sway on the dance floor. Heady stuff, indeed. The Orentalisches Sonnet (1895/96) seemed to draw inspiration from that well spring of 19th century Orientalism that provoked the unlearning of Wagnerian rigidities into a still dreamy but clearer sighted wonderland – though with the same powerful yearning. The last line - “O Griechenmädchen! O Circassierin!”- pitched on the yearning of captured souls, was powerfully sung by Strutt. Taryn Fiebig was in radiant voice, exhibiting a wide dynamic range and deep responsiveness to each song’s poetic intent. Her attack was fearless and pianissimo haunting. She ended the first half with a scintillating and rewarding bracket of Schoenberg Lieder. The Brettl Lieder (1901) selections were particularly piquant - “The room was wine red/she was blossom white” - though given the composer’s droll responsiveness to their sly humour it was very remiss of Opera Australia to leave this attentive audience without any texts: no translations, and no authorship details of the poetry being set to song by these richly talented Vienna composer. The rich late romanticism of Erhebung, Opus 2, no. 3 and Waldsonne, Opus 2, no. 4 (1899), were ecstatically delivered by Fiebig and Matheson. Here was rich ardour and expectation: “and I see your bright golden eyes shining through the green, whispering nights” … “I lie on the grass beside you and hear you playing the shiny syrinx again under azure skies”. The Schoenberg canon contains much exaltation! The Alban Berg offerings (Seven Early Songs [c. 1905-1908] and Jugendlieder [1904-1908]) were fetchingly delivered by both Strutt and Feibig. Schilflied (Strutt) and Regen (Feibig) were particularly arresting, while the expansive, neo Wagnerian vocal line of Nachtigall was floated with true bliss by Strutt, as was the endless blue and heart’s deep wanderlust of Sommertage: “Von deiner tiefen, tiefen Lust”. It was fascinating to hear Berg’s take on the Goethe Mignon song, Kennst du das land (first verse only in this setting), and hear how he sought to avoid the supreme drama of Hugo Wolf’s setting, the clarity of word placement taking preference in his reshaping. Fiebig shaped this torso with great clarity. If Matheson was sometimes a little overpowering at the piano, he did perform with a sharp and responsive tonal palette, capturing the boundless energy and rich romantic thrust of this youthful music. Despite the emergent expressionistic flourishes and embryonic Sprechstimme, this is music discernibly within the ambience of the core lieder repertoire – not too far removed from Schumann and Wolf. It has the required deep focus on the evanescent beauty of the seasons (Lenz, Sommer, Fruhling), the beauty and meaning of flowers and blooms (roses and linden trees), the imaginings, exultations and unrequired pulse of youthful love, and the deep cultural significance of the forest in Germanic thought. In our postmodern times we can enjoy the hybridity and yearning of this music. Harder though to imagine the persecution, exile, poverty and early death that haunted these composers’ lives. 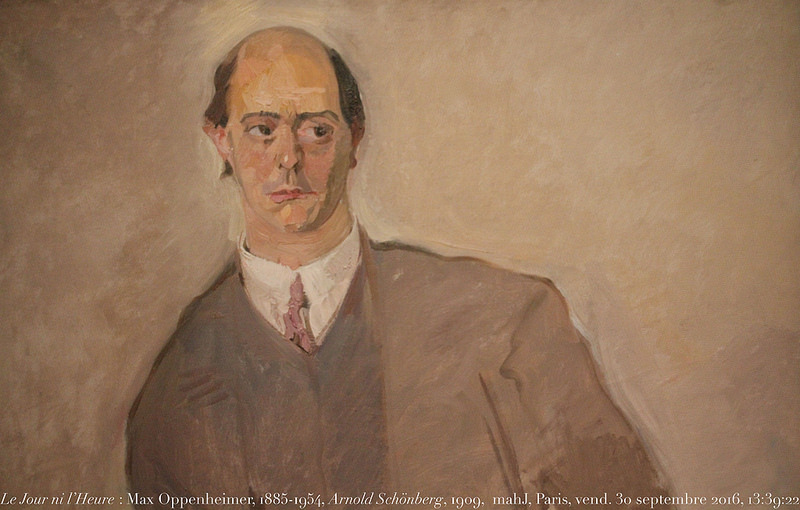 Only Schoenberg and Joseph Marx lived beyond World War 11. The anti-Semitic Marx was complicit in and happy with that fact that the Catholic Schreker was hounded to death by the Nazis for his Jewish ancestry. Ironically, in this recital Marx was spotlit via his bon-bon Nocturne – where memories of long-lost youth are unburdened by the linden bloom, the narrator ageing and lost. Though Berg and Schoenberg’s colleague Webern did join the Nazi party he was deeply upset by Schreker’s persecution (though casting Schreker’s musical genius into the decadent past of Jugendstil). In this recital, Webern appeared in the form of 2 pieces for cello and piano (1899) - Fiebig on cello, Matheson on piano. These performers proved, once more, how this composer’s brief elliptical brilliance is always rewarding, with (i) Langsam mirroring (ii) Langsam and intimating the slow unending sorrow that haunted this early modern world. This was a very satisfying recital - that left us wanting more. It would be good to hear a tenor sing some of the Schreker songs, particularly In Alten Tagen. But full texts, next time, please!